American DJ FS-1000 Follow Spot DJParts - All Variety of Parts that DJ Needs. Put your talent in the spot light with this professional quality stage follow spot from American DJ. 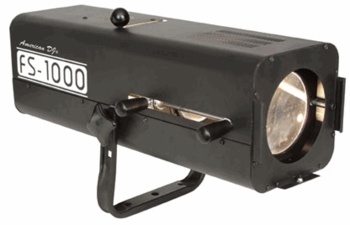 A specially designed reflector gives this 575W unit the light output of a conventional 1,000W follow spot! Dimensions: 9" x 9" x 21"